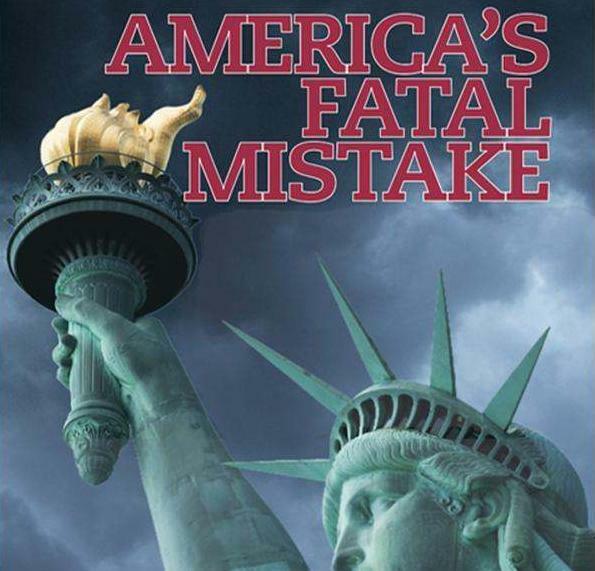 America’s Fatal Mistake… and how to find our way back home! I believe that God in His mercy and long-suffering love has been, and is today, giving our nation a wake-up call; and also along with that wake up call, that warning, He is also giving us the opportunity to repent and change our ways as a people. However that repentance MUST begin first within the family of God, among His covenant children, within the church. Like it or lump it, it is a FACT of history, that can easily be verified, that our country was founded upon Biblical principles by both men and women of faith, who counted their personal faith in God as preeminent in all things that are important in order to maintain and insure the success of this experiment of liberty and freedom, called the Republic for the united states of America. It is important for us to recognize that if we are ever going to restore our nation, and put it back on a sound footing with God; and if we are to preserve our liberty and freedom as a people, then we as a nation and as individuals living in that nation are going to have to bring our nation back to that same standard and foundation, as did our Founding Fathers! The truth is we have seriously blown it, both as a nation and a people; and consequently we are in trouble today, because we have both offended God, and we have violated the covenant our Founding Fathers had made with Him. This has happened over many years, through many different things that we have done as a nation, such as allowing a secularized public education system that teaches our children that any belief in God, through faith in Jesus Christ, is totally irrelevant to anything that has any relevance or consequence to their future. It gets even worse, because our nation long ago abandoned our Forefather’s plan, and under the Forty-First Congress (in 1871), without any Constitutional authority to do so, they changed our Republic, into this de facto UNITED STATES CORPORATION; which in and of itself is illegal, and the reason it is illegal is because its very existence is an anathema to our U.S. Constitution, and the establishment of such a corporation would have required a Constitutional Amendment in order to implement it, which never happened. Anyway, pursuant to the Act of 1871, our de jure Republic and our U.S. Constitution have been replaced, and have remained dormant, put in mothballs, by this company, called The UNITED STATES, INC (if you don’t believe me, then look it up for yourself, as it is incorporated in the state of Delaware and is registered with Dun and Bradstreet), which said corporation is owned and controlled by a corrupt international banking cartel. which also controls and owns another privately held corporation called the Federal Reserve; and it has been under this corporate system that they have passed many laws that are an offense to God, and are against His standards and laws, not the least of which is that we. as a nation, have allowed for the extermination and murder of well over 50 million babies, ALL of whom are God’s children, over these last forty or fifty years! And it is because of this debauchery and rebellion against God that we are today removing ourselves, as a nation, from underneath God’s covering of blessing and protection that we have come to enjoyed for so many years now, that once made us the envy of the world. In addition to our rebellion, we have also offended God through our meddlesome policies towards the nation of Israel, as we have consistently tried to force some kind of peace accord down their throat, which would result in the dividing up of their land and the compromising of their national security; and their ability to defend themselves. 2 I will gather the armies of the world into the valley of Jehoshaphat. Hopefully, at least it is my prayer, that all of this is becoming increasingly obvious, at least among us who are God’s covenant children, that God’s is today holding us accountable, as we know from the Bible that He eventually does to every nation. We are also told in God’s Word (Heb 12:6) that He disciplines those whom He loves, in the hope that it will bring about repentance, meaning a change in the way we think. We have sound precedent in God’ Word to know this to be true, in that God will forgive us, if we repent, because if He could forgive the nation of Nineveh, a most ungodly nation, who repented overnight, after God sent that preacher named Jonah to them, then there is certainly still hope for us as well. It is my firm belief and opinion, based on everything I have read in God’s Operations Manual for Life (the Bible), that our first step, in order to turn our nation around, is for us to comply with His instructions given in 2 Chronicles 7:14, that if My people, who are called by my name (Christian) would humble themselves and pray; turn from their wicked ways and seek My face; then I (God) promise that I will hear their prayers and I will heal their land…. and oh boy do we need God’s healing in our land today! I believe that our nation has drifted so far afield, away from God, that we are not going to make it much longer, as a free people, unless we first have a spiritual awakening, among God’s people, in the church; and also a revival in our land, bringing our nation’s priorities back in line with God’s Word and His laws. The reason I say that is because unless we have a Spiritual Awakening and Revival, then for most Americans they will just continue as they are now, because they haven’t a clue what is happening to our nation, and nor do they know how to fix it, and as far as any talk of God is concerned, they don’t even care. And so consequently in their ignorance they are only taking our nation further and further away from God; and the reason is because they don’t know Him; and have never had an encounter with Him. That has to change, before our nation can be healed! We must also recognize that the nation of Israel is key to everything God does; and she is still the apple of God’s eye! Consequently, anything that we do, as a nation, that in any way compromises Israel’s security or sovereignty in any future decision that we make, as we’ve done in the past, it will only have further dire consequences upon our own nation’s security and well being! God has made it very clear in His Word that He will bless those nations who bless Israel, and that He will curse those who curse her! Wake up America, because the ball is in our court… and where we go from here will ultimately depend upon what the Christians in America do, not the unbelievers! October 1987 was a dramatic time in my spiritual life. On October 11th, there was a massive homosexual march on Washington, DC. Upwards of 500,000 marched for their “rights.” As I watched this on the news, it upset me, and I turned the TV off and walked away. It didn’t occur to me to intercede before the Holy God of Israel. I never thought that He might be judging the nation. Then I forgot about the march. The following week the stock market went into a sharp decline resulting in a massive 508-point loss on October 19th. During the six business days following the march, the stock market lost a third of its value. That evening I was watching the news and the newscaster was actually shaking as he was asking whether this could be the beginning of a new Depression! As I watched him shake, I had a vision of the week before when I saw the homosexual march. Then the Lord spoke to me in a very clear and powerful way and tied the stock market crash to the homosexual event. The United States had come under a curse. I then heard the Lord say that I did not fear Him, for if I had I would have cried out and interceded before Him when I saw the march. He said that His church did not fear Him, and America was naked before Him for judgment. This was the first time I truly realized what the real fear of the Lord was, and the holiness of God. I fell prostrate on the floor before Him and repented. October 11, 1987 was a turning point in God’s dealing with America. Sin was openly manifesting itself, and God’s judgment on the nation was matching it. From October 19th forward, until today, God began to show me the correlations between national sin and the greatest disasters in history hitting America. These disasters included Hurricane Andrew, the Northridge Earthquake, the attack on 9/11, Hurricane Katrina, the stock market crash of 2008, and the massive Joplin tornado storm. All these events and many more happened while America was promoting the dividing of Israel, abortion or the homosexual agenda. 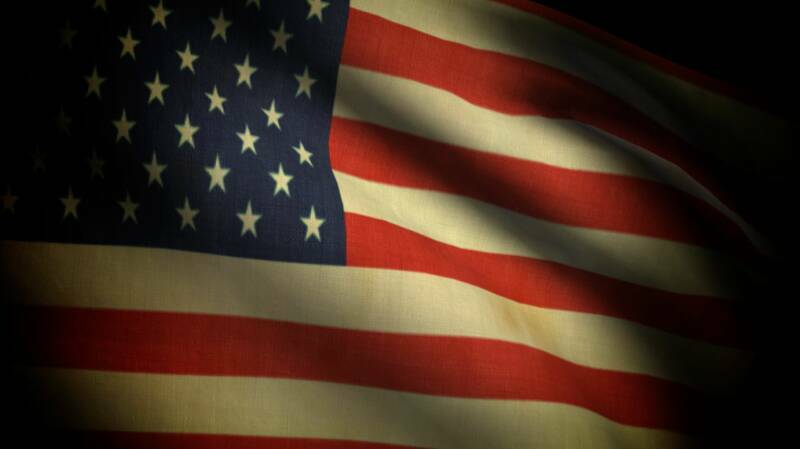 The judgments that started on October 11th paralleled America’s rebellion and turning from God to sin. God next touched the abortion rebellion two years later. On October 15, 1989, a huge pro-abortion rally took place in San Francisco. The San Francisco Chronicle reported: “Marching to a pounding drum and chanting, ‘Hear our voice we’re pro-choice,’ yesterday’s crowd gathered at City Hall after passing cheering supporters lined up along Market Street.” The center of the rally was City Hall where many pro-abortion politicians addressed the crowd. Just two days after this festive rally, celebrating the killing of innocent children in the womb, a powerful 7.1 earthquake struck near San Francisco. This quake actually hit during a World Series baseball game. Ironically, The San Francisco Chronicle, reporting on the effect of the quake, said that City Hall was shaken so terribly that people fled the building screaming in terror. The very center of the festive, pro- abortion rally became, just two days later, a center of terror and fear! God then touched America for trying to divide the land of Israel. On October 30, 1991, President George H.W. Bush initiated the Madrid Peace Process. The object was for Israel to divide its land to create a Palestinian state in return for peace. This is a very serious violation of God’s Word about the land. On this very day, a super powerful storm in the North Atlantic came against the normal weather patterns and battered the East Coast. It became known as the Perfect Storm. This storm sent 30-foot waves against the President’s home in Kennebunkport, ME, and inflicted serious damage! God was using catastrophic events to warn the nation of the collision course that it was on with His holiness. God always warns before judgment. God used Noah to warn for 120 years before the judgment. He used the prophets for 200 years before He judged the ancient Jewish people. The Lord Jesus warned Israel of the coming destruction 40 years before it happened. Now once again, God was warning a nation before the final judgment. The warnings were directed at His people to repent before Him and cry out for an outpouring of the Holy Spirit upon the church and nation. So far, very few in the church are listening. When two national rebellious events occur simultaneously, the judgment becomes catastrophic. Hurricane Katrina is a prime example. To date, this hurricane has been the greatest natural disaster to hit America. Hurricane Katrina hit right around the time that America was forcing Israel to divide its land and at the time of a national homosexual event in New Orleans called Southern Decadence. In 2005, President George W. Bush had pressured Israel to unilaterally pull out of 25 settlements, most of which were in Gaza. The last Israeli left Gaza on August 23th, which was the very day that Katrina became a hurricane! A few days later on August 28th, it slammed into New Orleans as a Category 3 hurricane and did catastrophic damage to the Gulf Coast. This was the same week as Southern Decadence, when up to 150,000 homosexuals flocked to New Orleans for real decadence in the streets. The homosexual event had to be cancelled. Exactly seven years later to the day on August 28, 2012, Hurricane Isaac slammed into New Orleans during Southern Decadence. The hurricane caused tremendous damage to the area and cancelled Southern Decadence for several days. The homosexuals vowed to continue even with all the destruction around the city. The God of Israel has issued two clear warnings to New Orleans and America about open manifestations of homosexuality and rebellion in the cities of America. The sin of America, just like Sodom, now has the attention of the Lord, as it is offending His holiness. He is warning His church to pay attention. Awesome judgment fell again on September 11, 2012. President Obama told Israel that it was on its own in fighting Iran. This was after the President had publicly stated many times that he would always be there to defend Israel. On September 11th, he also refused to meet with Israel’s Prime Minister Benjamin Netanyahu when Netanyahu came to the United States. He abandoned Israel and then humiliated the Prime Minister. On the same day, Moody’s threatened to downgrade the U.S. credit rating very soon if the national debt was not brought under control. On the very day that President Obama turned his back on Israel, the U.S. was attacked by Muslim terrorists who killed the U.S. ambassador! This is a perfect example showing that what America does to Israel comes directly back on America. This one was to the very day! Each presidential election has enormous consequences since the President’s treatment of Israel can bring a blessing or curse on the nation. If the President pursues a policy of dividing Israel, it brings a direct curse on America. Americans have elected such Presidents and the nation has suffered from the curses. God is holy and we must walk in the fear of Him. This means we must realize that He will destroy America for the road of rebellion the nation is on. Since God does not change, we must change. Our only hope is to intercede and cry out to the Lord for mercy and an outpouring of His Holy Spirit. Next Next post: Scripture is unfolding today, right before our eyes… as we are living in the Last Days, that will see our Lord’s return to earth!